It's been a while for the launching of the special bats Angel, Azrael and Devil. Finally the poster was done. 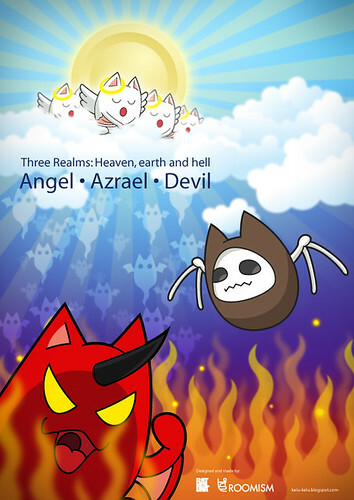 This poster named "Three Realms" which mean heaven, the earth (our world) and the hell, obviously where the three bats are. but the 3 kinds of kelu make the poster become very innocence and awesome!